If you want to send free sms worldwide from pc to mobile then there in this post we are showing some websites where you can send free international free sms, Some of these are also working from mobile to mobile, i.e you can use it on your mobile. So below are the list of 10 website from which you can send free international sms, that collected by me so have a look to them. 1.Slidesms.com: Slide sms allows you to send free sms worldwide. You can send sms upto 300 characters. 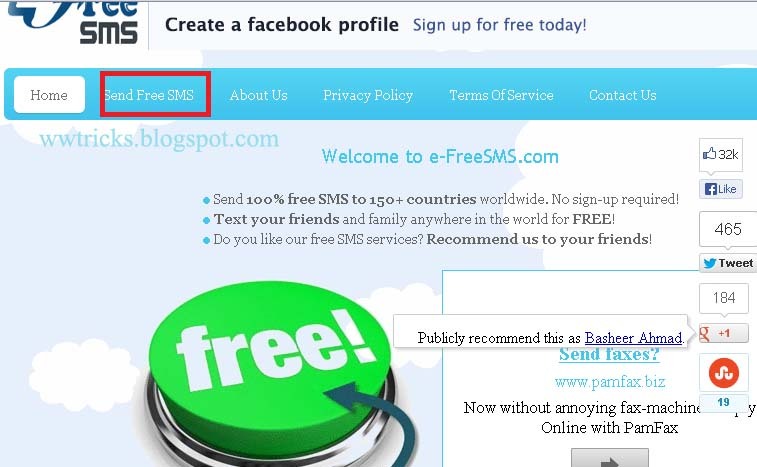 2. e-freesms.com: This service allows you to send international sms for free. From this website you will be able to send your sms to over 150 countries.And you no need to register here. so it's too easy for you. But you can write your sms upto 120 characters and can send only 3 sms per day. 3.Sendsmsnow.com :Here is another good online tool/website for you to send free international sms upto 130 characters. 4.smsfree4all :This allows you to send unlimited free sms world wide. send sms as you want, there is no restrictions just type your sms upto160 characters. 5.Text4freeonline.com:This is a very good online tool to send free and worldwide sms. You can send sms upto 700 characters from this website. You can also share pictures and videos from your pc. 6.Smssheep.com:You can send upto 160 character of unlimited sms from this website freely. 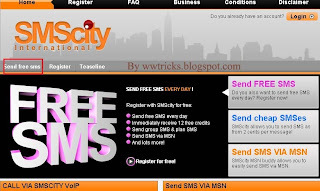 7.smscity.com:This is a good website for sending free international sms but their are some ristrictions that you can send sms to over 22 coantries only. 8.text4free.net:using text4free. 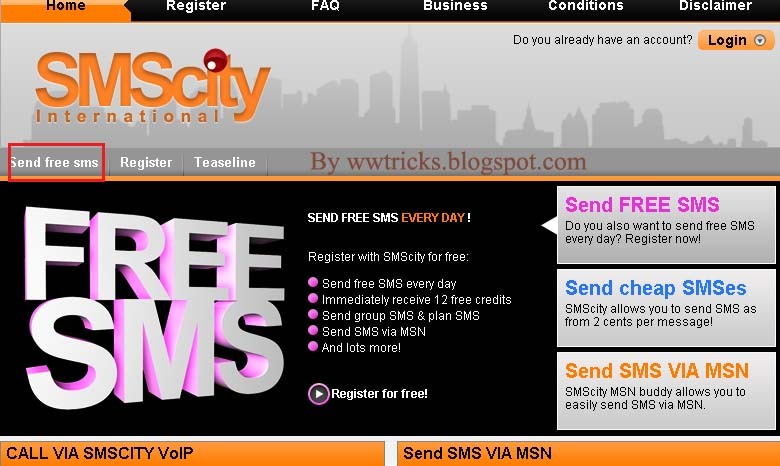 you can send free sms from your pc online. You cab also send audio,graphics files and pictures with your free text messages. 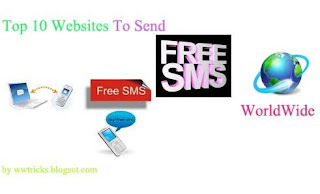 9.smstexter.com:Send upto 160 character of a sms with this largest free sms sending website, here you don't need to register yourself, so send unlimited international sms free of cost without registration. 10.textmefree.com :At last of the post i will tell you about this best website, to send free sms With out registration. So these were some websites and online tools i collected, you can try it out. There are also mote websites to send free international sms but these was i know about. if you know more that is better then feel free to tell us leaving comment. That's All you mentioned are also good. I Checked these. Hmm. I would also like to give it a try. Thank you gaurav for leaving your valuable comment on our blog post.